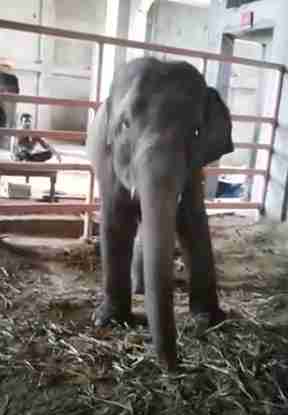 Chained up inside a dark concrete building in Jaipur, India, Suman the elephant calf can’t do anything but cry out for her mom. She’s only 6 years old — but her torturous and lonely role as a show elephant has already begun. In the wild, she would be surrounded by her loving family and roaming miles together each day, but instead she is on her own and being brutally trained to prepare her to perform at circuses. Recent video taken by undercover agents with Wildlife SOS shows the young elephant writhing in her pen while continuously bobbing her head in distress. A thick rope is attached to one of her ankles to keep her from moving around too much. Suman’s owner, a notorious wildlife trafficker known to attack his elephants with axes, also owns her mother and father — but the family is forced to live apart from one another. Suman’s mother, Chanda, has been constantly bred only to see her children be taken away to be sold into the entertainment industry. 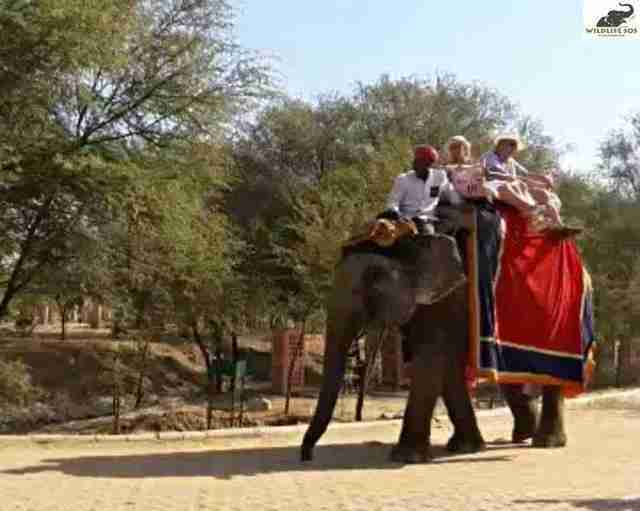 She and Suman’s father, Bijli, are forced daily to give tourists rides in the scorching streets of Jaipur. 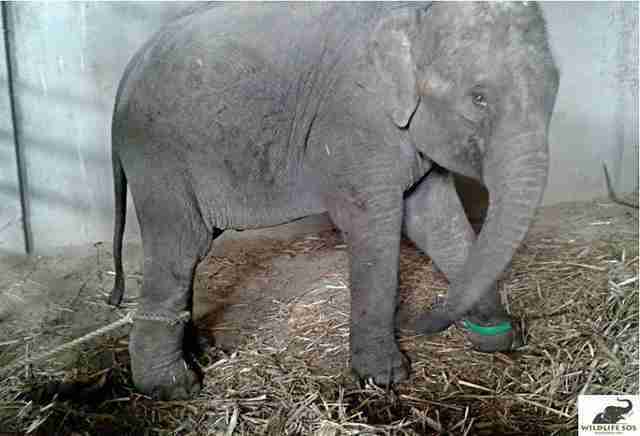 Since witnessing the heartbreaking scene, Wildlife SOS has launched a campaign to save Suman before she is sold off to another owner out of state. They’re also pushing wildlife officials to allow them to seize her mother and father, since they are being kept illegally as well. This wouldn’t be the first time Wildlife SOS rescued someone from this family. In 2015, Wildlife SOS rescued Suman’s older sister, Peanut, who was also separated from her family and forced to perform in circuses. Rescuers remember seeing her spend days on end in her enclosure just bobbing her head, a common sign of distress in captive elephants. 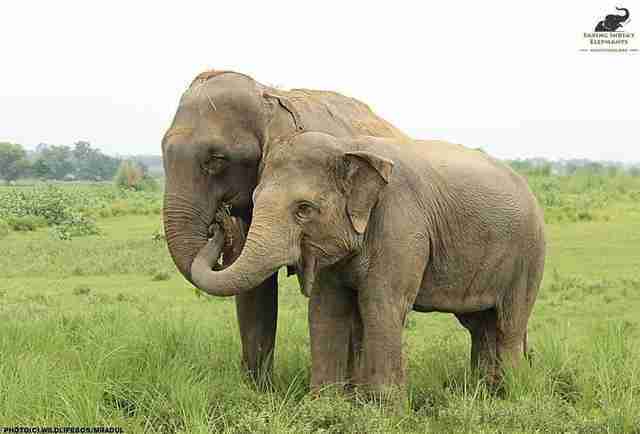 Peanut is now 9 years old and lives happily among other former show elephants — and rescuers are hopeful they will be able to reunite the two sisters so they can spend the rest of their lives together after everything they’ve been through. 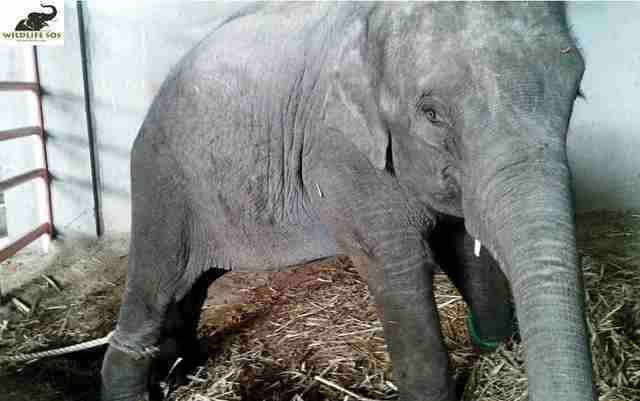 To help save Suman and her family, you can sign this petition and make a donation to Wildlife SOS.